Year – round swim lessons are the best way to keep your child water safe at the beach and pool! 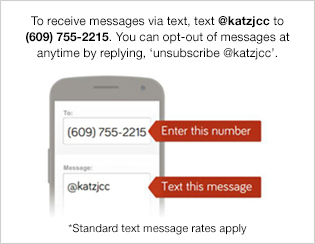 The Katz JCC Swim Program offers one of the highest levels of swim instruction in Atlantic County. All instructors are certified lifeguards with CPR/AED and First Aid training. Swimmers are able to develop their strokes and master the fundamentals with both small group and private lesson options. Classes begin the week of January 7, 2019 and end the week of March 3, 2019. To make swim level selection as easy as possible, please refer to the Swim Lesson Selector to choose your swimmers level according to their age and ability level.